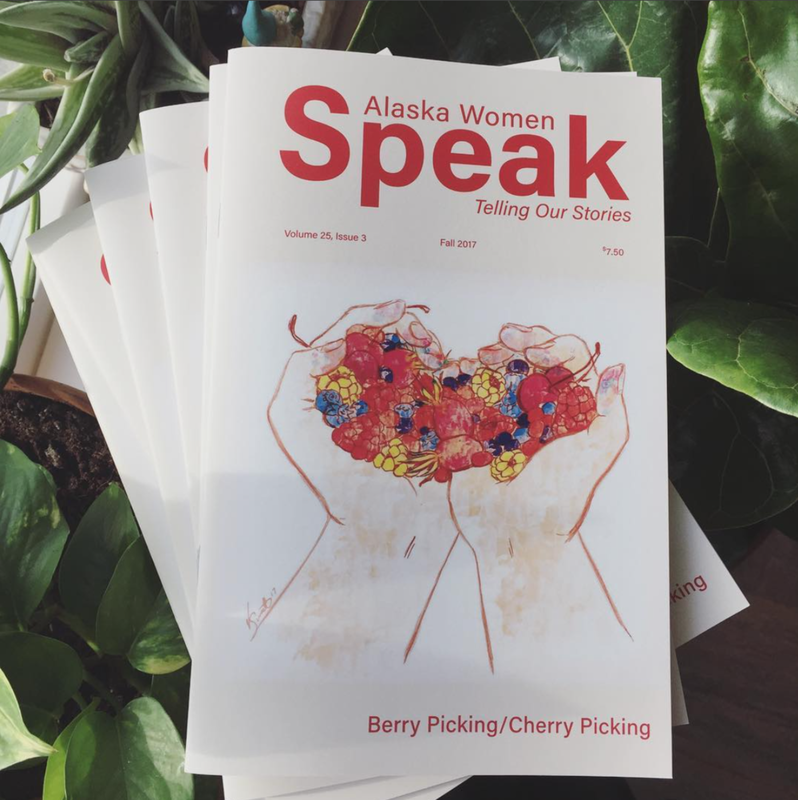 Two poems can be found in Volume 25, Issue 3 of Alaska Women Speak–"Hagiography" and "Axis Scale: Millions of Years." While "Axis Scale" is a depiction of cellular evolution, the chaos of being human, and the importance of water, "Hagiography" is a reflection on the influence of female figures both near and far. "Axis Scale" is for humanity. "Hagiography" is for my grandmothers. Manifestations of human insanity and chaotic occurrences within nature are provokingly juxtaposed. With my knowledge of the Alaskan wilderness, and an homage paid to the “old mining town,” The Black Moss explores two characters, their relationship, and their downfall.